The pacers are runners, just like you. 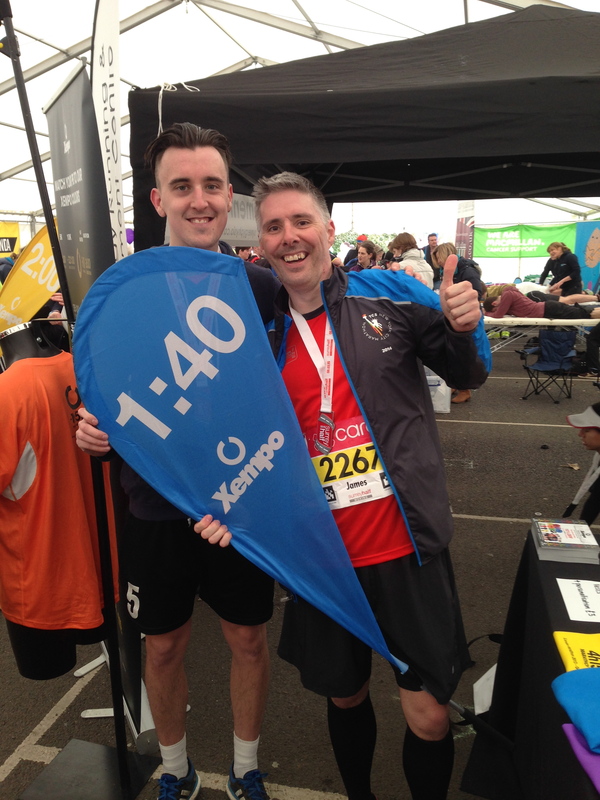 We started off using local runners from neighbouring clubs, plus runners recommended to us. But since we set up RacePacing.com, anyone can sign up to become a race pacer. 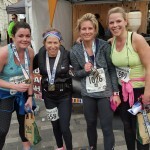 You just register with us at www.racepacing.com and let us know about your running history, PBs, areas you can get to, etc, and we’ll email you periodically with details of races coming up in your area and asking if you want to be a pace runner. It’s free to join up, and there’s no commitment up front. You just tell us when you are available and we’ll pick a team from the volunteers. 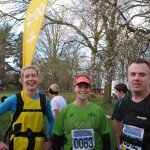 We have over a thousand pacers in our database now, but don’t think it’s just for quick runners. 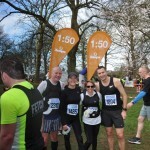 We need runners of all abilities, and it’s usually the slower paces that we have most difficulty finding volunteers for. 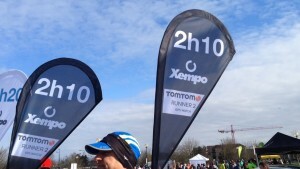 A typical half marathon we’ll provide pacers at all times from 1h30 to 2h30. 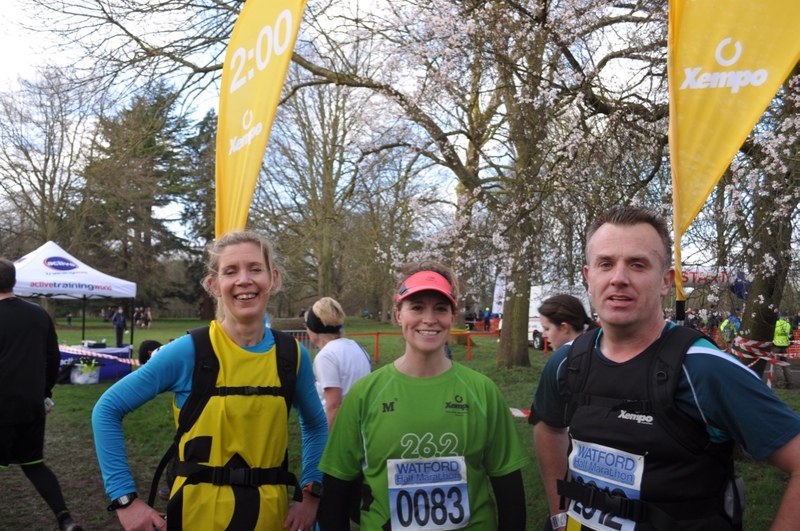 We try to include as many pacers as possible throughout the year, but for some races we have dozens of volunteers so have to do a bit of pre-selection. It helps if you’re prepared to be flexible as to what time you will be able to pace, particularly if you don’t mind doing a pace that’s well outside your usually target times. As well as runners who we can rely on to hit their targets accurately, we want the most social media savvy pacers who are prepared to tweet, blog, photograph and video their experience, which in turn gives us the best exposure for Xempo, the race itself and our sponsors. 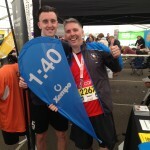 We also love pacers who really get involved with the runners and are vocal in encouraging those around them to push for their PBs. We can’t do this on our own. 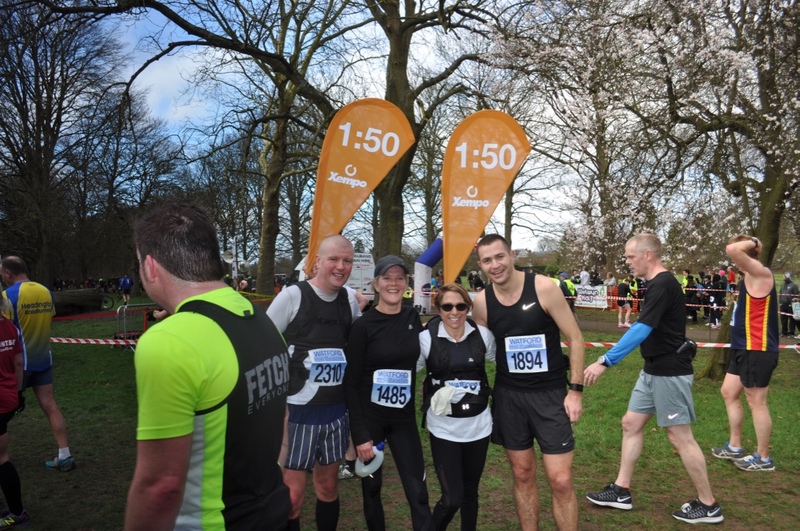 Getting a group of runners organised and equipped, and in the same place at the same time takes a bit of cost and planning. As such we rely on the help of a few partners. In addition to the media support of the RunABC group, we are really pleased to have joined with a timing partner for 2016 in TomTom UK. With precise timing & wearable tech becoming as important part of the runners’ arsenal as a decent pair of running shoes, we were keen to partner up with someone who places as much importance on precision timing as we do. What events do RacePacing.com pace at? 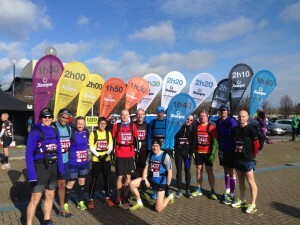 Whilst we are based in Greater London, we have had a bias towards local events to us and have paced some of the biggest half marathons such as the Royal Parks half marathon (see the video from last year’s race), Ealing and Surrey, to mid-sized and smaller halves such as Watford, Richmond, Hampton Court, Thames River, Reigate, Maidenhead and Kingston. We also supply runners to other events over a range of distances including some of London’s biggest mass participation events. We are going to start providing marathon pacers shortly, or as soon as the race directors ask us to – whichever comes first! But we’ve also gone outside the south east to places such as Swansea, Milton Keynes and Worthing. If we are asked by race directors to help out, we don’t really have a limit to where we will travel. Our plan is to make RacePacing.com a truly national service. 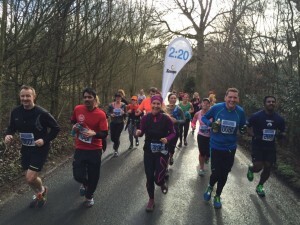 You get a free race entry into some of the UK’s biggest events. 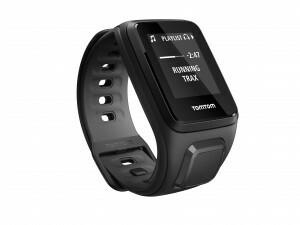 You’ll get the gratitude and appreciation from dozens of runners who you have helped to hit their target times. You might get free stuff from our sponsors and partners. 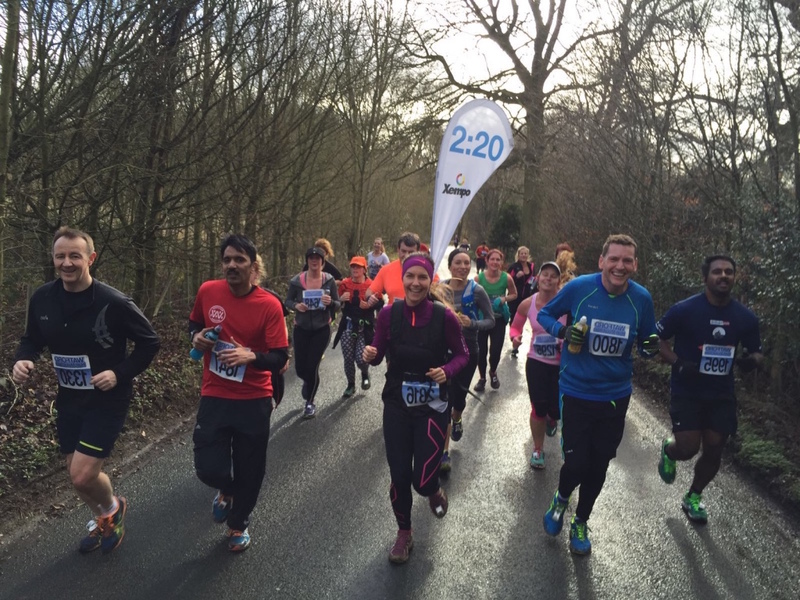 It adds a completely new dimension to your running and is a way to enjoy the event without smashing yourself to try and get a PB. It’s great fun and you’ll be begging us to get involved again. 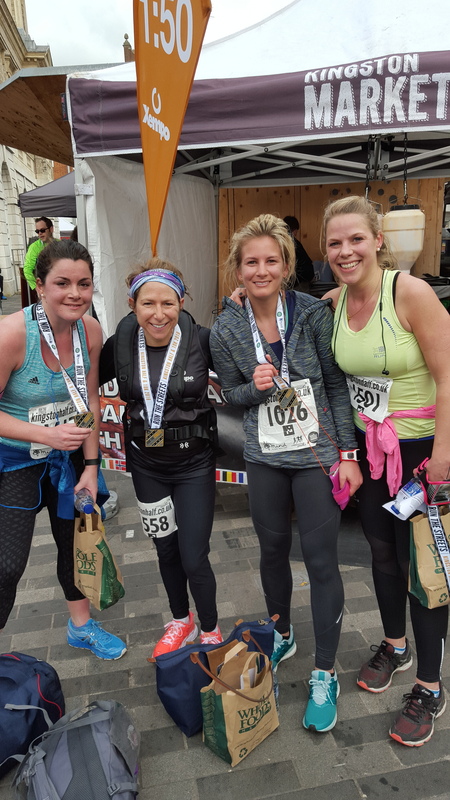 We get terrific feedback from all of our pacers, many of whom sign up for as many races as they can, since they love helping other runners achieve their goals.